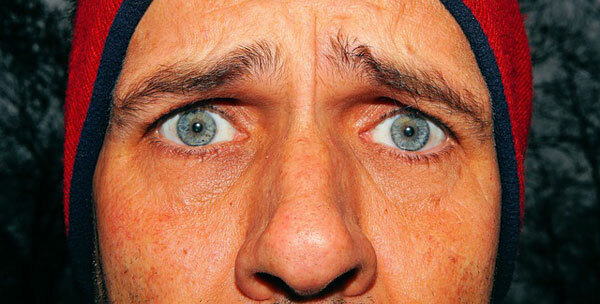 In our last post, we reviewed the reasons a man might choose to jump ship on his relationship with a woman. Today, let’s look at it from the woman’s point of view. Of course, I’m a man writing about women, so you may have different opinions about these reasons. I’m happy to entertain alternative viewpoints, or even debate the commentary below. Feel free to add a comment and let’s discuss! Welcome to How to Get Back Your Ex! We are here to help you sort out your relationship woes. Some of our content will cover off typical questions and answers you might find interesting as you sort through your current situation. Other content will recommend products and advisory services that can help you deal with your breakup in the healthiest way possible. And some of the best content will help you figure out ways to rekindle the romance, to get your ex back once and for all! We will include product recommendations for various offerings that might help you, with full information and links to where you can learn more about them. Hopefully, we’ll help you get back on track one way or another. 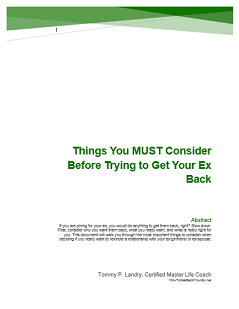 Before you peruse the blog in more detail, though, start with our free eBook download: Things You MUST Consider Before Trying to Get Your Ex Back.